In the first half of the 20th century, poor roads and simple transportation methods in the Grande Prairie area meant that the best venue for education was the one-room school, within walking distance of each student. These schools were often built by volunteer labour on donated land and financed through an extra tax on the land-owners. They ranged from primitive log buildings to elegant little frame buildings and each was unique to its own community. 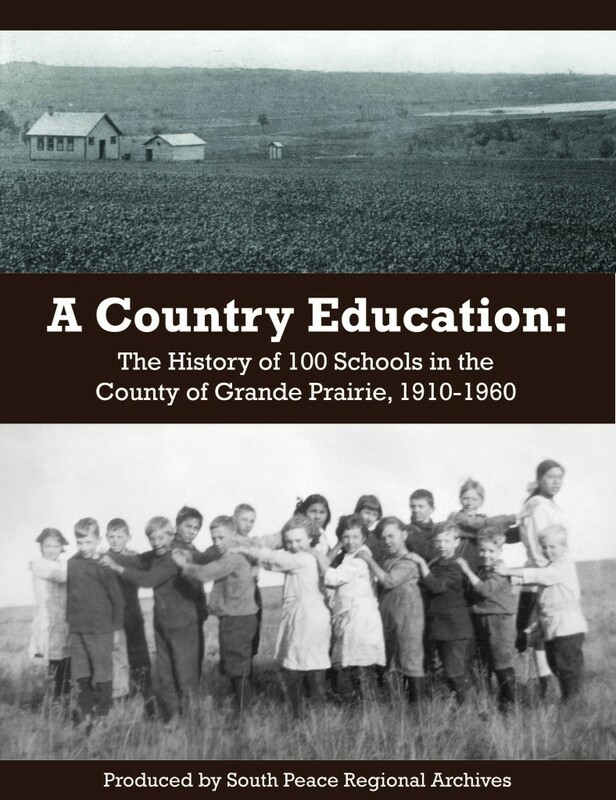 This book contains basic facts, unique details and stories about the schoolsin the County of Grande Prairie from 1910 to 1960. The book also includes a map and GPS coordinates of the school sites. Illustrated with maps, documents, and numerous photographs from the holdings of South Peace Regional Archives. 217 pages. 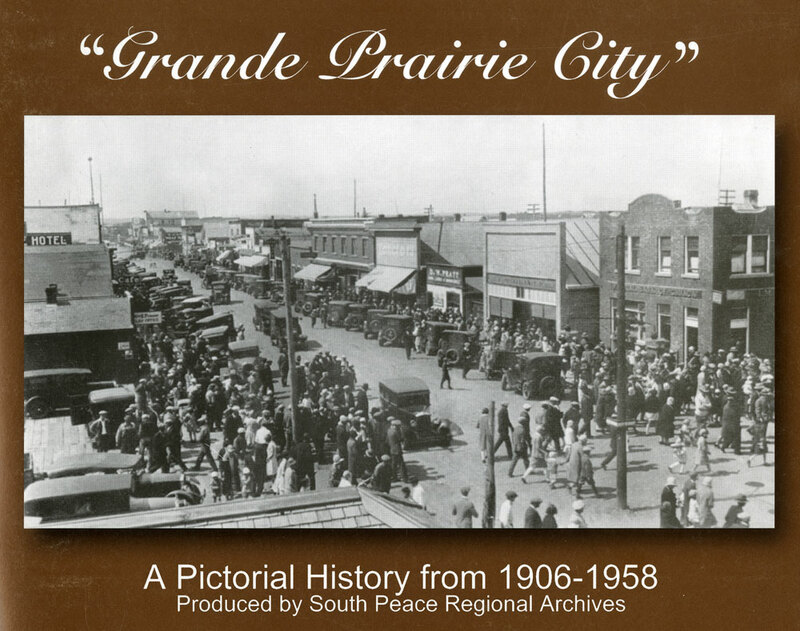 A 53-page booklet on the history of the town of Grande Prairie from 1906 to 1958 illustrated with photographs and documents from the holdings of South Peace Regional Archives. 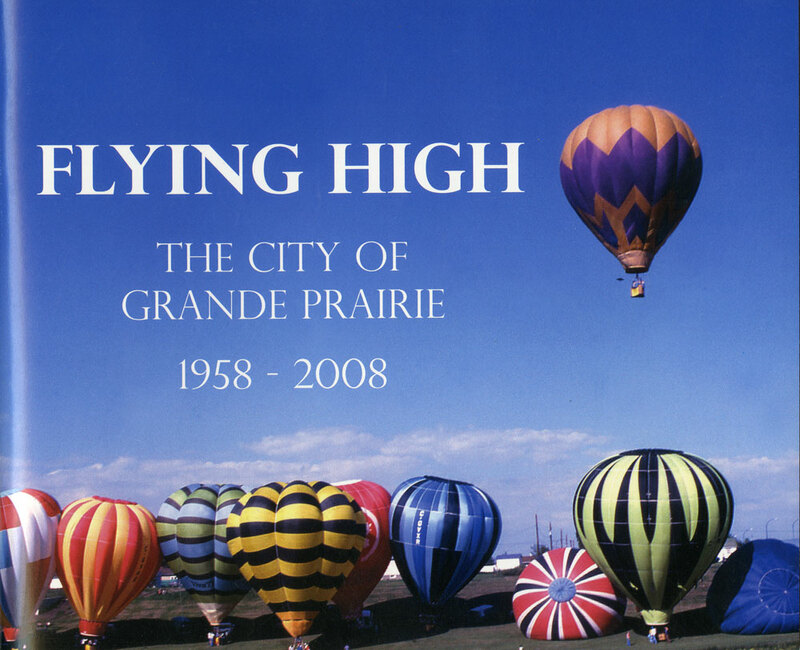 A 63-page booklet on the history of the City of Grande Prairie from 1958 to 2008. Written in celebration of the City’s fiftieth anniversary. The booklet is illustrated with documents and photographs from the holdings of South Peace Regional Archives. The stories of seventeen war-brides who came to the South Peace during and after the second world war. The book was compiled in 2006 in honour of the Year of the War-Bride and tells about their experiences in Europe during the war, the long trip to Canada, and their determination to adjust to a new country and establish homes and families. The booklet is illustrated with numerous documents and photographs. In the spring of 2008, as part of the celebrations of Grande Prairie’s 50th Anniversary, South Peace Regional Archives commissioned a series of interviews on how we remember Grande Prairie and how we view its development over the past 50 years. The 24 stories in this book are taken from those interviews and are illustrated with archival photographs. Additional postage/handling charges may apply for special packaging or large orders, or to cover expenses of long distance telephone calls. Please credit the South Prairie Regional Archives when using photographs or research material from this institution.